OF COURSE ALL NEW TACKLE (tackle that matters) IS TESTED OUT OF LOUISIANA! Re: OH GAWD....they did it again!!! No "movement" here, Dave. Ya ever think that perhaps it isn't us that are are different? Naw, it's not me....."ya'll are up there"
As I said to Kmorin in so many words, Its taken me this long to figure out why there's not many active southern folk on this forum. 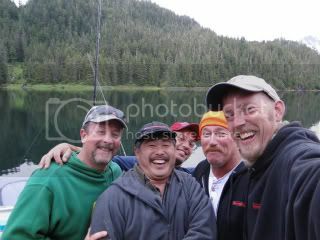 JETTYWOLF wrote: Naw, it's not me....."ya'll are up there"
Lots of outdoor forums, an alloy boat forum sorta lends itself to folks familiar with the verbiage...or a few of us curious enough to lurk long enough to join up. Slick looking reels for sure, more ergonomic and user friendly as down here we get to fish all Year so the gear has to be tough. Guess the Factory boys all got theirs so when can us poor people see them? Those are going to be deadly in the GOM!!. That cast out to busting tuna is remarkable. Mangrove beware, this thing will bull them out of the rig FAST! and being able to cast like that......oh my. http://www.tackledirect.com/shimano-tra ... reels.html - is taking Pre-orders for March right now. I see the "southerners" actually .....GIT IT! On Yeah. When I get one, it's gonna be my personal Tarpon /Giant Redbass / Shark / Offshore jiggin' reel. I have 4 of this reels cousin, the Shimano 300 DSV, the 1st editions. And as far as LOW PRO reels (egronomically correct for casting and all day fishing with a large capacity, high speed retrieve in a non-corrosive package) They are mega sweet! Why don't I come over there in the fall, with my Shimano trans X, and a Curado 300 DSV, and we'll go out and wack us some mangroves on some rigs, and a Tarpon at the pass...... I'll do all the video!!! The BIG Mullet should be thick then. Yeah, I was watching that dude Babe Winkleman on the TV, who's always holding a insulated mug (full of bourbon and Coke?). 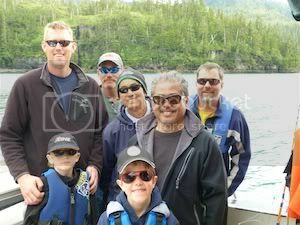 They were King Salmon trolling on a charter boat on Kodiak Island, using what looked to be beat ole Penn Squiders or Penn graphite reels, non-levelwind. I could see as they reeled in these fish they run a bit, but not all that hard. And the drags were JERKIN' all over. I hate that. They were in a seemingly really nice Munson Cat. With all that BIG $$ up yonder they could really BENEFIT from some smooth dragged, mega HIGH speed, reels like these in Question. 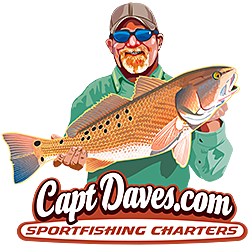 Trolling for salmon question: "how many ball bearing swivels does it take to keep the leader from twisting up like a rats nest, while "Purposely Making" the bait (herring) spin like a propeller?"